NEWS UPDATE @ 21:20Z – Nigel Jolly, Braveheart owner, declared an emergency and ordered the VP8STI team to cease all operations and return to the ship. A large ice flow that had broken away due to last night’s storm starts to block the entrance to the Bay where they were camped. There was strong potential for the ice flow to prevent Braveheart reaching them. The Team is now safely aboard the Braveheart and they are moving away from Southern Thule Is. All equipment and personal gear is still on the island. They hope to return to camp site during next good weather window. 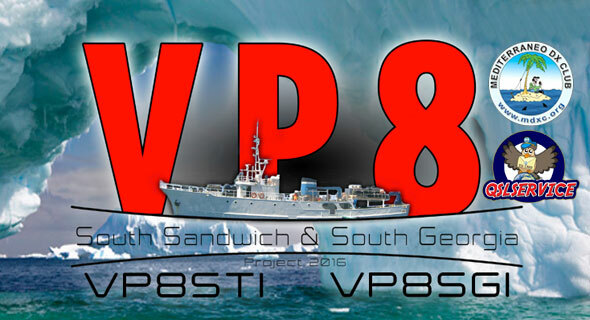 Once they retrieve their equipment they will make a determination as to whether they can proceed to South Georgia to do VP8SGI as planned – VP8STI QRT ! NEW UPDATE @ 12:00z – At 11:00z today, VP8LP spoke with an operator at VP8STI who reported that the intention is still to continue onto South Georgia to operate as planned. They plan to remain QRV on Thule island for as long as possible whilst packing up, and are as well as can be expected under the circumstances. January 25 @ 07:20z – Past night two tents and most of the yagis were destroyed by high winds. Both of their main tents collapsed partially and the team worked very hard through the night to save them. The Braveheart recorded winds of 70 mph (112 Kph). They are running only on 40 meters due antenna damage. Once they can assess damage they can determine whether they can proceed to South Georgia or not. 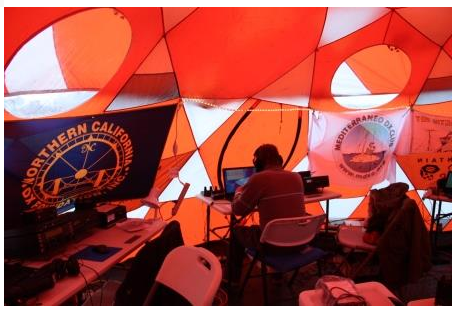 Right now they are doing last QSO as VP8STI – they have asked the Braveheart to extract them when it´s possible. They regret that they have fallen short of their plans , however the team and crew safety is most important. January 20 – Finally the 160 antenna system is ready so tonight they will be QRV on Top Band. Also tonight plans include to be QRV on 80 meters for JA. In addition, VP8STI will be on 60M later today using frequencies: USB TX: 5403.5 RX: 5.371.5 // CW TX: 5405 RX: 5373. Operation schedule was not confirmed but they will try during Thule Island darkness hours. January 19 – The team’s now working on the 80M antenna setup. A new storm is arriving so they hope to be able to finish the work on time and QRV on that band tonight. The 40M four square is working, with big signals being reported last night. They expect to raise the 160M phased verticals tomorrow.